These physics classes are mostly for the high school level, but some are for AP physics. The physics classes are free at the time I post them, but may have a price later on. Some physics classes are specifically for homeschoolers. Using easy-to-find parts and tools, this do-it-yourself guide offers a wide variety of physics experiments you can accomplish on your own. Topics covered include motion, gravity, energy, sound, light, heat, electricity, and more. Each of the projects in this unique guide includes parameters, a detailed methodology, expected results, and an explanation of why the experiment works. 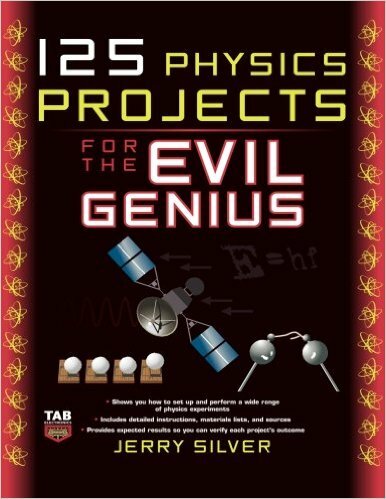 Projects for your physics class. Honors Physics is an introductory course in algebra-based high school physics designed to provide students a basic understanding of physics principles in the areas of mechanics, work and energy, electricity and magnetism, semiconductors, waves, optics, and modern physics. What sorts of things get physicists (or wannabe physicists, like the teacher of this class) excited? Is it the dream of building grand intellectual edifices capable of describing the Universe with amazing accuracy and elegance? Or, perhaps, discovering something so unexpected that it totally blows your mind? Maybe it’s simply the act of doing physics! Whatever the case, there are certainly many things in physics to get excited about, and we’ll explore some of them in this class. IEEE and the IEEE Educational Activities Board (EAB) are committed to providing quality educational physics classes for educators, parents, students, IEEE volunteers, and the public. Play games. A set of instructional pages written in an easy-to-understand language and complemented by graphics and “Check Your Understanding” sections. An ideal starting location for those grasping for understanding or searching for answers. New in 2016. Created by a father who homeschools his kids. He needs help getting feedback about the new lessons he puts up for this physics class. If you give him your email, you’ll get it first and free. The Open & Free Physics course provides you with access to the Andes Physics Tutor, an intelligent tutoring system developed at the University of Pittsburgh and the United States Naval Academy with funding from the Cognitive Science program of the Office of Naval Research. The tutored exercises will supplement almost any physics textbook. Need to use a Windows computer. Developed by Carnegie Mellon University. A wide variety of courses about physics topics free and online from universities all over the world. AP Physics:The Physics of Osmos. This activity asks students to recognize physics concepts within the video game Osmos. Students are then asked to use the video game to demonstrate and explain the concept that they have identified. This activity can be used as a formative assessment of student understanding or as a summative assessment after a comprehensive introduction to kinematics or momentum. Good list of other Physics lessons. These are University-level courses that have been put online. They are largely similar to MOOCs, but instead of having the full feature set, they are often available via YouTube, iTunes or on a website. We have listed all the different options for you here, most of which serve as introduction to the world of physics. Teaching you are qualified professors from esteemed institutions such as Berkeley, Harvard and MIT.